The Great Plains Wood Turning Club provides a place and time for people interested in woodturning to share their knowledge, enhance and improve their skills, and enjoy the fellowship of other woodturners. We freely share our knowledge and experience to assist all woodturners in their quest to explore all facets of this art called Woodturning. We meet on the third Tuesday of each month at 7pm at Innovation Studio. Membership is (a modest) $25/ year but feel free to come a couple of times for free. 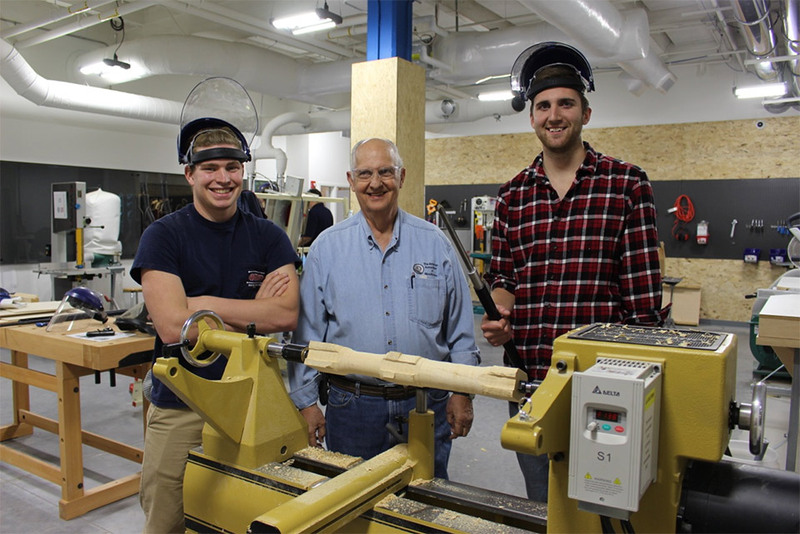 Prior to each meeting a member of the club will host a session in which you can learn about the materials, equipment and tools as well as the wide variety of projects that only can be created with a lathe. Reservations in advance are required. After the introductory session plan to stay for the meeting, meet the members of the club and enjoy the presentation of the night.